When we think back to the days when the Tell It audience consisted of the 5 friends we forced out to The Way Station every month, it’s incredible to believe we’re here 2 years and over 200 stories later. Since our humble beginnings, we’ve made a lot of new buddies, featured a bunch of incredible storytellers and drunk a buttload of whiskey … all of which made for more stories to tell later. 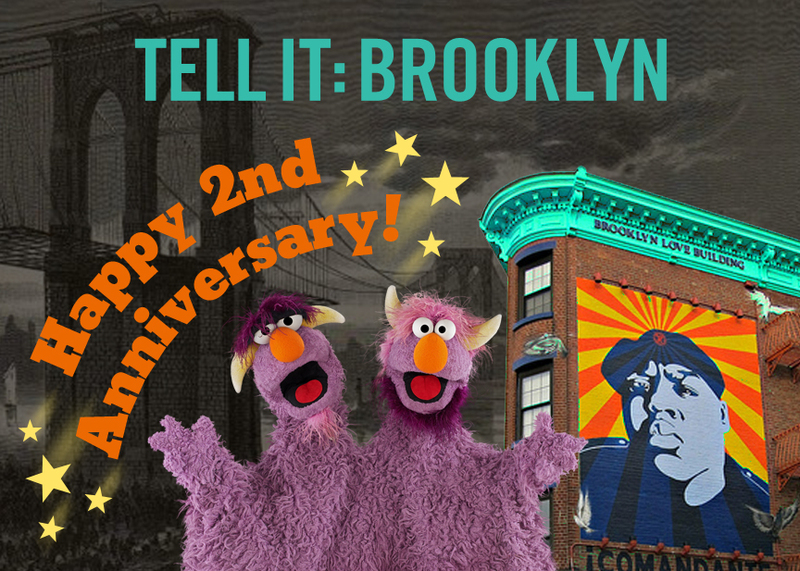 This week we’re celebrating our second anniversary by performing our own stories on the Tell It:Brooklyn stage for the first time in over a year. What’s better is that not only do Victoria and I plan to regale you with our own personal tales, we’ll be putting out our brand new, all-time favorite can (click the link for a hint) so you can entertain us right back with yours. Seriously, you guys. The new can is AWESOME. So, come on out THIS WEDNESDAY! NOVEMBER 20th and celebrate with us. We’ll have raffle prizes, party favors and we’ll be sharing the Southern delicacy that currently occupies the aforementioned brand new, all-time favorite can. Hell. We might even have cake.